A list of some of the best FLAC players is here to let you enjoy your music in its full glory. The format in question is a lossless audio codec that compresses files by 50 to 60 percent to produce one that’s identical in all audio aspects, without losing any information. So if you’ve been looking for a program that’s compliant with all your FLAC music, then you’ve landed in the right place. So as not to give anyone a miss, we’ve included players for various platforms. Read on to find out more about them. Out of the many players available for Mac OS X, Vox has managed to catch the fancy of most music enthusiasts. 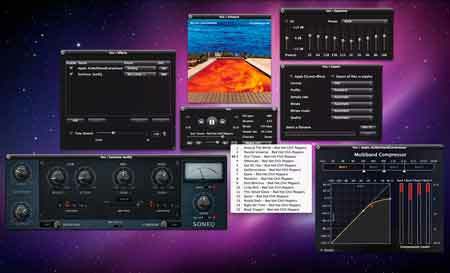 Described as ‘little and simple,’ it extends support to a number of formats including AAC, MP3, Musepack, OGG, Vorbis, Apple Lossless and more, apart from FLAC. The Equalizer, Pitch Shift and Echo effects among others bring your music to life, while the program’s ability to export music files into formats like Apple Lossless, AAC+ or WAV further adds to its usability. Hit the source link to download this software if you are a Mac user. One of the most sought after FLAC players for Windows, Foobar2000 could be chosen over most others as it promises gapless playback for most of the common formats such as MP3, AAC, Vorbism, WavPack, WMA, MP4 and SND. It boasts of full Unicode support and tags along an interface layout that can easily be customized. Moreover, the tool lets you configure keyboard shortcuts, offers full ReplayGain support and even transcodes audio formats, thanks to its Converter component. 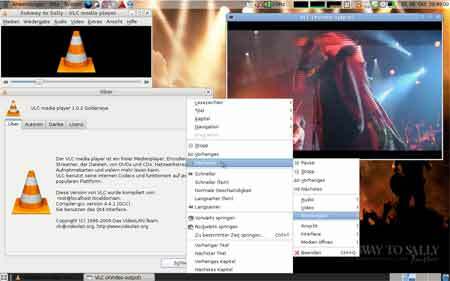 A popular multi-platform multimedia player, VLC is available for Windows, Mac OS X, GNU/Linux, Android as well as iOS. In addition to playing music, this simple and fast software extends support to discs, CDs, webcams and more. It goes the extra mile to facilitate streaming as well as media conversion, and promises not to conduct user-tracking or bother you with annoying advertisements. The list of compatible formats is inclusive of MPEG-2, DivX, H.264, MKV, WMV, MP3, WebM and more. If you consider yourself a serious music collector, then the next contender included in our compilation of FLAC players is what you should have installed on your windows PC. This music organizer helps you manage your videos and music, and syncs with mobile devices; even those running the Android or iOS platforms. Moreover, it facilitates searching for music based on genre, artist, year or rating, regardless of whether the music is saved on the local drive, CDs or in the network. Apart from identifying tracks, it allows you to tag music, manage playlists and also organize and rename songs. 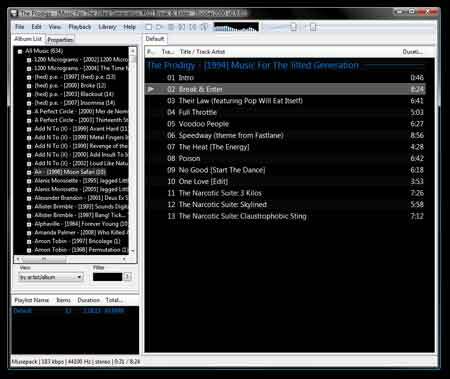 If you are looking for an extremely easy-to-use media player compatible with most of your music and video formats, your search can end at Winamp. The software supports multiple formats and is available in a number of languages. 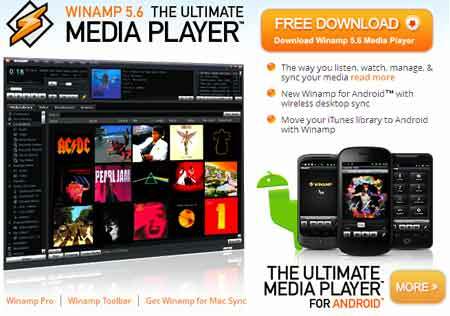 It has recently been added with features including Android Wi-Fi and USB sync support as well as iTunes library import. It has also been released for Google-certified devices and users have the option to download its free or Pro version. 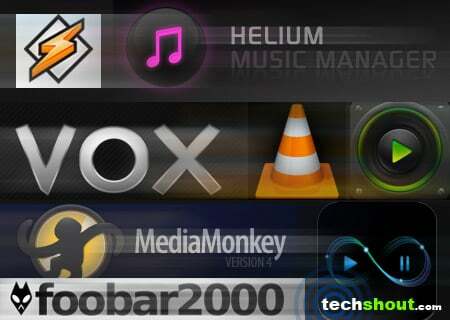 Well, if the developers of Helium Music Manager are to be believed, this software featuring on our lineup of FLAC players is loaded with a number of essential functions. 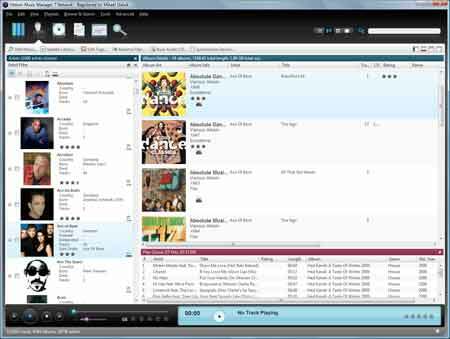 While you can import music in formats like MP3, MP4, FLAC, WMA and others, you can even choose to manage your music libraries using the player’s support for Microsoft SQL server and MySQL. It lets you add a song’s meta-data or download album artwork, and even repairs your broken MP3 files. And if that’s not enough, it supports scrobbling to Last.fm, streaming from Shoutcast or syncing music from various portable devices on the move. Price: Free, $29 for the Premium version, $49 for the Network version. For those of you who wish to listen to FLAC-based music on your Android devices, PlayerPro seems like a good option. It is compatible with most audio as well as video formats and acts as a tool that permits you to browse through your music by genre, song, artist, album, playlist and more. You can customize its layout and choose from 18 skins available with the player. The tool even allows you to download missing album artwork, read and artist’s bio and access album reviews. A complete multimedia player for the iPhone and the iPad, 8Player is a multitasking app that can stream pictures, videos and music from DLNA or UPnP servers. It automatically recognizes devices on your DLNA network and can serve as a remote control for the same. Formats like MP4, MOV, AVI, 3GP, ALAC, WMA, FLAC, MP3, AAC, WAV, JPEG, PNG, GIF and BMP to name a few, can be played on your iDevice, with a little assistance from this software. How Stock Illustrations Can Help Make A Website More Attractive To Visitors?